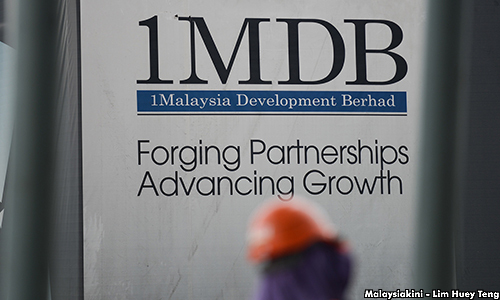 Whatever happened to PwC’s report on 1MDB? * Are we complicit in the 1MDB scandal? QUESTION TIME | The ‘Big Four’ accounting firms have all have had a bite at strategic development firm gone wrong, 1MDB, with various curious effects. Ernst and Young refused to sign off on the 1MDB accounts when requested documents were not produced. They were removed, and appointed in their place was KPMG, who approved the accounts for the years 2010, 2011 and 2012 ending March 31, but then drew the line for 2013 when they wanted some details verified. They were terminated too. Deloitte took over in December 2013, and approved both the 2013 and 2014 accounts, but quit in 2016 after the US Department of Justice said in a civil filing that massive theft involving billions of dollars occurred at 1MDB. For the years 2015 to 2018, inclusive, no accounts have been filed, which makes it four years in all, although Parker Randall – not considered a global accounting giant – represented by an obscure firm in Malaysia, was appointed in Deloitte’s place. The last CEO of 1MDB, Arul Kanda Kandasamy, who was then campaigning for BN, said on May 3 that it was only in March that poor Parker Randall was allowed to access 1MDB accounts seized by the police. It’s a bit of a tall order, presumably, to audit four years of financial results in six months. It’s unclear what Parker Randall’s role is anymore. Interestingly, while the Malaysian Institute of Accountants is said to be investigating both KPMG and Deloitte for their role in 1MDB’s audit, both have said the accounts they audited and approved cannot be relied upon because of subsequent developments. But that’s story for another day. That leaves one Big Four firm which has had no previous contact with 1MDB – until May 23, during the post-election euphoria, all were abuzz about what would happen at 1MDB. Just two weeks after the 14th general election, new Finance Minister Lim Guan Eng announced the appointment of PwC, not as auditor of the firm, but to carry out a special position audit. “I have instructed that the Finance Ministry take steps to appoint PwC to conduct a special position audit and review of 1MDB so that Malaysians would know the true financial state of the company. We would then be able to determine the cost of the shenanigans to the taxpayers. “We would submit the PWC report to the 1MDB special committee set up by the prime minister once it is completed,” he said. Although Lim was short on the scope of the audit, this is not a forensic audit, according to my sources, but a verification of the assets and liabilities to ascertain the financial position of 1MDB. Basically, it matches all liabilities against the assets available, and can then tell you what the hole in 1MDB is. Lim confirmed that he had received an “interim” report from PwC on Aug 6, but did not make it public. “From what we gathered in PWC’s preliminary report, basic good corporate governance or management principles were not complied with. “We want to make this public – people have the right to know – but let us get it done properly first, it is a preliminary report,” he said. But really, how long does it take to ascertain the assets and liabilities of a company? Liabilities are easy – shareholders’ funds plus all borrowings and other amounts owed. Others won’t let you forget. Assets may be more difficult, but if you can’t find them, you simply list them as, well, missing. In his report, the auditor-general put this figure of unverifiable assets at about US$7 billion, so what is taking PwC so long? However, it may not be PwC that is at fault. My sources tell me that PwC has already signed off and delivered the full report to the Finance Ministry on Aug 6, when Lim said he received the interim report. So what gives? Whose fault is it that four months after PwC was appointed to look into 1MDB’s financial position, the Malaysian public remains unaware of what exactly the firm’s assets (or the lack of it) and its liabilities are? Are we going to be kept in the dark about even this? As the prime minister says, the Official Secrets Act 1972 is set to stay, in blatant and open disregard of promises made by Pakatan Harapan – promises which won’t cost a sen to keep and will have no recurrent costs but substantial checks and balances. There were no protests by top Harapan leaders to this statement by Mahathir. What happened to the right of the Malaysian public to know the financial position of renegade 1MDB and the extent of the hole in its accounts, which Lim trumpeted? PwC is no stranger to such audits of course. They did a report for the Finance Ministry on the RM250 million National Feedlot Corporation, which appears strangely to be still classified secret under the OSA. Despite substantial evidence uncovered by the report in 2012, many of the charges in that case were dropped during the Najib regime. If even this PwC report is kept away from the public, more than a month after the audit firm are believed to have submitted its full report to the finance minister, what else will be? Neither the report of the Council of Eminent Persons to the Prime Minister nor the sub-committee’s report on institutional reforms is going to be made public. What kind of transparency is that? Are decisions going to be made for and behalf of the public with no reference to them? And what will this lead to in future? Isn’t the situation alarming, to say the least? And if all other repressive laws continue to remain in the statute books despite Harapan’s promises, what guarantee is there that they won’t be used again, like Najib Abdul Razak did to silence legitimate dissent and discussion and suppress information on theft at 1MDB? Why can’t even these promises be fulfilled, especially the laws that were passed in the last stages of the Najib regime? If we can’t get rid of those laws, can we be sure that another 1MDB or worse will not happen in future? Can we be sure that those who are in power won’t use them when there is a threat to their position? What’s happening to the new Malaysia? « Tears of regret, Klepto Najib?